The Pearson uCertify Courses, Labs, and Simulators combine PearsonTM authorized and academic peer-reviewed content with an accessible, flexible, and scalable platform. The Courses, Labs, and Simulators are available individually or as completely integrated Course/Lab and Course/Simulator products. All Courses, Labs, and Simulators are mapped directly to Pearson texts to make integration into your current courses easy and convenient. 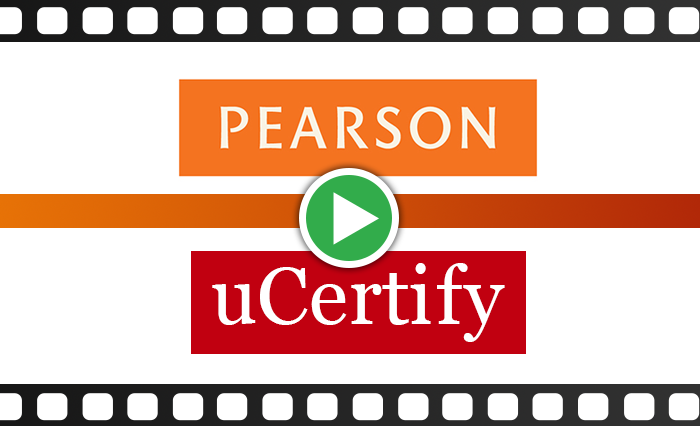 The uCertify Courses are a foundational learning tool and come with an interactive e-text, Pre and Post assessments, quizzes, exercises, tests, instructional videos, and more. The uCertify Labs and Simulators should be used in conjunction with a uCertify course or textbook to provide hands-on skills and bridge the gap between conceptual knowledge and real-world application.